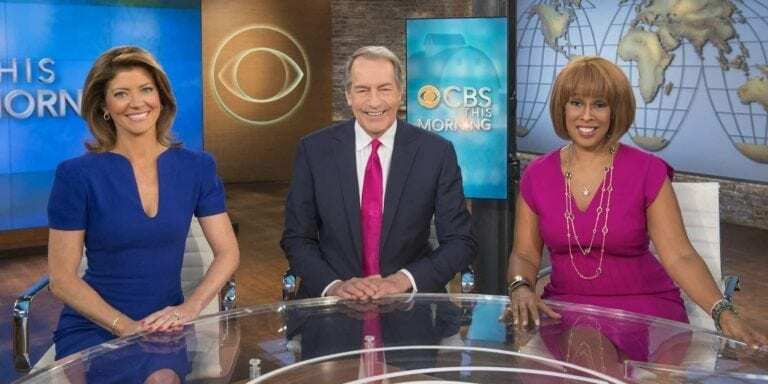 The CBS THIS MORNING golden trio: Norah O’Donnell, Charlie Rose, a notorious media courtier and sycophant, and Gayle King in New York. The corporatisation of the journalist’s mind which these people unapologetically embody rewards conformity, assures mediocrity and guarantees career advance at the expense of the public interest. Voltaire once wrote to a friend, with icy distaste, “Enlightened times will only enlighten a small number of honest men. The common people will always be fanatical.” The line has an unfortunate ring of truth to it, much like the quote from Jesus about the poor always being with us. The evidence on hand suggests that, even today, in our supposedly enlightened west, the tenor of the times is as delusional and fanatical as the French genius suggested. For instance, the Orwellian Department of Justice not long ago had the television station RT, formerly Russia Today, register as a foreign agent, a deliberately chilling label applied by the Foreign Agents Registration Act. Twitter then loudly announced it will no longer sell advertising to RT, a piece of chest-thumping theater likely imposed on it by the Congressional Senate Intelligence Committee and its tireless farceurs Democrats Adam Schiff and Mark Warner. These grave guardians of the realm have led Congressional efforts to keep the Russia-gate narrative on life support, even as it wheezes toward the grave, by muscling Twitter, Facebook, YouTube, and Google into censoring progressive content out of search results, feeds, and paid media. They’ve done this despite the fact that the percentages of ads and so forth that are linked to Russia–not to the Kremlin, mind you, just to Russia–are vanishingly small drops in the ocean of content produced by these platforms on an annual basis. To their credit, each platform took pains to point this out. Happily for the one percent, though, that shady phalanx of corporate shareholders that dictate national media dialogue, these de facto public utilities are private, thereby subject to the strong-arm tactics of our latter-day McCarthys, happily stamping all and sundry with their special brand of fanaticism. In a corporate state like ours, corporate media is far more pernicious than state media because it presumes a pretext of objectivity. State media disseminates perspectives that support the state; that much is obvious. But the corporate state funnels its perspectives through corporate media, which actually own the state, thereby creating a queer inversion of influence that tends to throw off the bloodhounds. The low-ratings leader RT is funded by the Russian government, making them in this respect no different than the British Broadcasting Corporation or the Canadian Broadcasting Corporation. But RT America is largely populated by an intellectually rich underclass of freethinkers that oppose corporate imperialist policy in this country. You won’t find any of the same pundit-journalists on the BBC or CBC. There you’ll be treated to a never-ending carousel of grayly decorous retired generals, platitude-reciting mainstream pundits, and clips of various cat fights between bought-and-paid-for senators, representatives, and cabinet members. Big difference. Yet RT is widely perceived as the house organ of Kremlin propaganda because it is a lynchpin of the Russia-gate storyline, which posits that Moscow is engaged in monstrous villainy designed to undermine the lily white aspirations of liberals everywhere. It is the latter group, in western corporate media, that retain a patina of legitimacy because they are perceived as free of state interference. But the mainstream media has it backwards, by design. In a corporate state like ours, corporate media is far more pernicious than state media because it presumes a pretext of objectivity. State media disseminates perspectives that support the state; that much is obvious. But the corporate state funnels its perspectives through corporate media, which actually own the state, thereby creating a queer inversion of influence that tends to throw off the bloodhounds. It is a murkier trough. The state is one step away from the consumer by virtue of the corporate holding company. The corporate state sits in those shadowy redoubts of elitism: hazy boards of governors, Bilderberg summits, G7 rendezvous, and trilateral communiques. This leads a lot of readers to assume its journalistic independence, at least from the government, if not advertisers. But most readers don’t pay attention to the fact that the papers don’t seriously challenge the official view. Nor do they necessarily notice that most sources are anonymous officials bereft of hard evidence but full of hearsay. That kind of analysis is made exceedingly difficult by the avalanche of copy that buries the discerning conscience in 24-hour news cycles. And so, despite the fact that the New York Times editorial board has backed every American war in the last 30 years, and despite the fact that anonymous officials and supposed insiders like “Curveball” have been consistently unmasked as liars, the reader still assumes that we ought to give our noble state the benefit of the doubt. We must assume its good intentions. It is everyone else–the Iranians, the Russians, the Syrians, the North Koreans–who are genetically untrustworthy. (Obama’s former intelligence chief at least thinks so.) And John Kerry reminded us not to trust, but verify. Fair enough on this last point, but why not apply the same criteria to our own government and our own media? But we don’t because our in-group is sacrosanct and must never be questioned. It is this willful ignorance and naivety that has destroyed democracy in this country. That Fifties era optimism in which the trajectory of human progress and the certainty of American decency was taken for granted. That “…in good faith, by decent people, out of fateful misunderstandings” nonsense with which Ken Burns defaced his masterfully artistic but narratively flawed Vietnam documentary in its opening minutes. It’s always a blunder with us. It’s always a mistake. It’s never premeditated murder. It’s never slaughter in the service of power. And it’s always the empire that suffers most. But then, heavy lies the crown. But how far from the truth that assumption of good faith is. We have been so comprehensively conditioned over the last century that these assumptions are deeply embedded in our psyche. Given that kind of free pass on questions of integrity, the corporate media has simply forsaken its role of adversarial journalism, largely in exchange for proximity to power and whatever perks accrue to court jesters and prancing minstrels. The most blatantly prejudiced trash can cross the airwaves without the slightest challenge from the self-appointed arbiters of truth. Here are a couple of examples from the always-on, 24-hour news cycle. NPR journo Mary Louise Kelly. In a nation as thoroughly brainwashed and ignorant as the US, most media figures, ensconced in a complacent upper middle class subculture of keen careerists, barely recognise the bankruptcy of their performance. At NPR, correspondent Mary Louise Kelly posted an interview with Ursula Wilder, a CIA psychologist, called, “How do you stop a spy from spilling secrets?” Notice how Kelly introduces the piece–with six soundbites of government officials bashing whistleblowers, or ‘leakers,’ to use the pejorative. She then introduces a CIA psychologist to finish the job, cudgeling into unconsciousness whatever faint trace of sympathy her listeners have for people like Edward Snowden. The bloody corpse of the whistleblower is left strewn along the cultural sidewalk, another piece of traitorous trash to be collected by prison-slaves making their morning rounds. Wilder says the leaking propensity starts with “a vulnerable personality facing crisis.” Out of the starting gate this creature of conformity tars the whistleblower with the dark cloud of a disturbed personality. Wilder says that “healthy personalities” can cope with the “massive change that’s happening globally in human culture driven by technology.” Change such as endless austerity, falling wages, increasing inequality, and a garrison state predicated on cowardly violence against indigent villagers abroad? Well, a healthy personality can cope with such changes, largely by compartmentalizing them in the “things I can’t change” category and flinging them down the memory hole of the mind. This is how most of corporate America does it. I’ve got a family to raise…The last thing I want to do when I come home from work is…It’s impossible to know what the truth is. There are in the personality three broad areas that recur over and over again in cases of captured spies when they’re studied. One is psychopathy, which is a ruthless, kind of cruel approach to life, and narcissism, which is egocentrism – that acute sensitivity to negative feedback. And the last is immaturity. And in cases of espionage, we see these strains in the personality appear over and over again. Wilder describes a typical situation, a crisis, in which the ‘vulnerable personality’ might lose their…capacity to control their impulses – if you add alcohol in the mix, that’s not a good thing – they will be compelled to seek a solution to their inner state of stress and crisis. And it can appear to them that leaking is one way to settle their crisis, to make themselves come back to a state, if you will, of homeostasis, of calm. For Wilder, it is pretty simple formula. One could test it. For instance, take someone with a moral conscience (i.e., ‘vulnerable personality’) like Edward Snowden, someone young, which would make them immature, since their impulse control might not be fully developed (also sometimes called the do-the-right-thing suppression mechanism). Give them a high security clearance. Then create a crisis situation, perhaps having their girlfriend leave them. Place them in a bar, ideally with excellent happy hour prices. And then just sit back and watch the narcissistic psychopathology do its work. A thumb drive will be on its way to WikiLeaks within the hour. Wilder says the trifecta of psychopathology, narcissism, and immaturity are clear “warning signs” of a potential leaker-in-training. This isn’t far off from pre-crime described in a recent article. Deciding what mischief a person is capable of and prejudging them for it. The appalling aspect of this is the presumption that whistleblowing is mischief. That’s the kind of response a programmed automaton like Wilder deserves, if not something a lot more caustic. 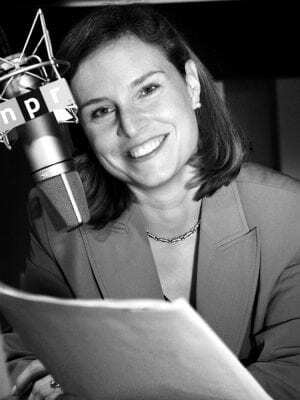 Instead, Kelly graciously thanks her guest and NPR moves jovially along to a weather report, classical music, or a food segment, the better to further entrance its vast anesthetized audience. The interview was an instance of a zombie interviewing a zombie. Right-thinking corporate journalists can recite these questions in their sleep, and group-thinking mouthpieces of power rehearse their answers on auto-pilot. No critical thought needed. No nuance required. There’s something zealous in Kelly’s quietude, fanatical in what it omits rather than what it asserts. John Pilger tells of an Australian interview with Hillary Clinton, who is presently flogging her petulant tome What Happened wherever it can be sold, despite plunging prices. One can only imagine the remaindered library of copies that so many priceless pines were felled to produce. Will this unwanted memoir prove to be the final blow to the environment? Will the Clintons’ last hurrah be runaway climate change? It would be fitting, if not desirable. At least the planet would go out with some Swiftian irony. Pilger calls the interview a model of “smear and censorship by omission.” Remember that Clinton blames much of her loss on an Aussie, the “nihilist” Julian Assange. Just another “opportunist who does the bidding of a dictator.” She thinks he was a colluder or a tool of Russia. She lies to justify this, suggesting WikiLeaks only publishes bad things about America. 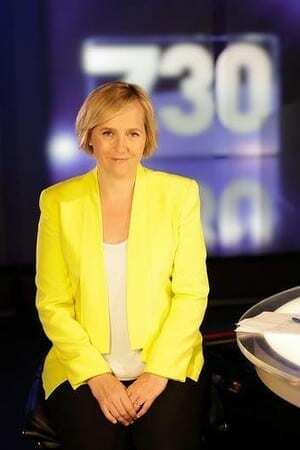 Sarah Ferguson: only softballs for the powerful. The interviewer, Sarah Ferguson, offers no resistance to this slander. There is no evidence Assange is a tool of Russian intelligence. WikiLeaks has produced megabytes of data on Russia’s bad behavior. There is actually evidence that the DNC ‘hacks’ provided by WikiLeaks were handed over by an insider and were leaks, not hacks. This is evidently not germane to the discussion. Hillary, herself an intractable narcissist, sees the election as a kind of Greek tragedy in which she is the heartbreakingly pure victim. She claims that Russia wanted to hurt her and help Trump. She says Putin wants to “destabilize democracy” and undermine the Atlantic alliance. Again, Ferguson makes no effort to challenge these assertions. She can’t bring herself to challenge the great feminist. She finally summons a bit of courage and attempts to ask Hillary about the Clinton Foundation’s apparent pay-for-play model used with Saudi Arabia for arms sales and with Russia for uranium sales. Hillary shouts her down. Ferguson folds and finishes up by telling the petulant child that she is “an icon of her generation” and wraps the interview. An icon of insincerity, perhaps. Playing in the background, Ferguson might have had the video of a Saudi man beheading his wife under the protection of the police. Or images of Sirte on fire. Or ledgers of Clinton Foundation gifts. But like Kelly, Ferguson refuses to do her job. She won’t speak truth to power. Not that power needs to hear it. Power knows the truth and isn’t bothered by it. Power produces its own reality, as Karl Rove once limned to a startled reporter. Better had Kelly or Ferguson ridiculed the statements of their interviewees. Against a system of monopoly power, a Voltaire-like brand of derision may prove the strongest arsenal. The end game is total conformity to the corporate state, which is how Mussolini defined fascism. The end game is unquestioning mental acquiescence, just as these journalists exhibited. Resistance is ultimately a battle for one’s heart and mind. We may believe we are free agents autonomously selecting beliefs from a self-created filtering system. But we’re not. The filters are imposed. So long as we are aware of their imposition, we still have a chance to fight against them. James Joyce once wrote of Ireland, “When the soul of a man is born in this country there are nets flung at it to hold it back from flight. You talk to me of nationality, language, religion. I shall try to fly by those nets.” So might we. In an age of net addiction, the independent mind is an endangered species. America’s national dialogue is rife with conformity. At the end of his masterwork Candide, Voltaire said that we must cultivate our garden, evidently a metaphor for focusing your efforts locally. To that end, a good starting point would be to uproot the vines of groupthink that threaten one’s own mind. It is insidiously easy to uncritically adopt the popular view. Writ large this easy acceptance disembowels democratic institutions, leaving them bound to rhetorical virtue-signaling designed to disguise criminal behavior. As the vines tighten around the stems of the body politic, that sensation of lightheadedness isn’t some righteous euphoria. It’s political asphyxiation. Good article, and he makes a great case for the conditioning that the powerful elite keep us ignorant and compliant. It IS systemic, but individuals can be and often times are "enlightened to new ways of viewing their existence. It happens everyday. His big picture is dark and somewhat despairing. What he fails to realize is that everyone of us is ignorant of many things including his take on a sort hopeless view that sheeple will always be sheeple. That is too broad of a paint brush, and there are countless people in our country that are becoming more aware of the power of the elite, and what they do to keep us within the boundaries of there "net". Doomsteading from the cheaper end of the spectrum.